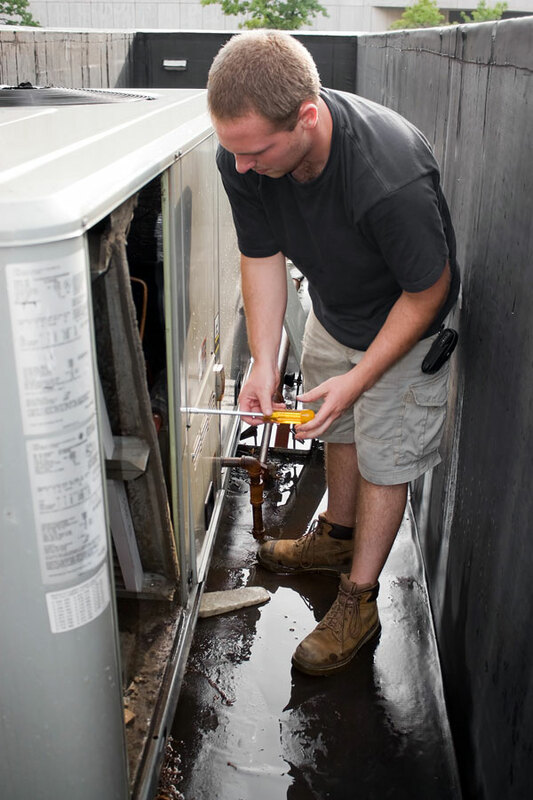 Cajun Air believes strongly in preventative maintenance for commercial heating, air, and refrigeration needs. An ounce of prevention is worth a pound of cure in the HVACR world. Our goal to is to get the most out of your existing system and save you downtime and money. Replace all filters with deluxe pleated 2 inches if available. Install flow plus drain tabs for drain overflow protection. Check all high and low voltage wire connections. Lubricate all motors and bearings if needed. Check all belt tension and replace if needed. Check all pulleys and sheaves for groove wear and vibration. Check all pressure readings on all compressor stages. Check code records on control board if available. Check condenser coil airflow for proper heat exchange. Check fresh air intake filters and clean if needed. Check all refrigerant lines for vibration wear.w plus drain tabs for drain overflow protection. Check entire unit for natural weather damages. All high and low voltage wire connections. Clean out and clear all drain lines. Place unit in cooling operation and monitor. Check and verify thermostat and controls operation. Inspect al fan brackets and motor support for proper integrity. Verify all fans operating properly in response to controls. Verify that all panels secured to unit with proper fastening materials. Provide a written report of work completed and indicated all detected deficiencies.